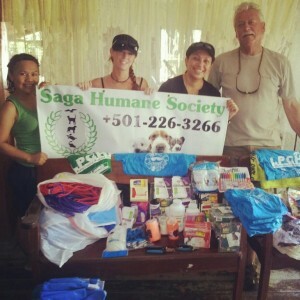 Home » Community and Society » Saga Humane Society says THANK YOU!! Saga Humane Society says THANK YOU!! The San Pedro Saga Humane Society would like to offer our sincere thanks to all the people and businesses that helped make February 2013 a great start to Operation SNIP (Spay/Neuter Initiative Program). To celebrate Saga HS completed 60 free spay/neuters the week of World Spay Day, February 26, 2013. World Spay Day is an annual campaign of Humane Society International and The Humane Society of the United States that shines a spotlight on spay/neuter—a proven way to save the lives of companion animals, feral cats, and street dogs who might otherwise be put down in a shelter or killed on the street. 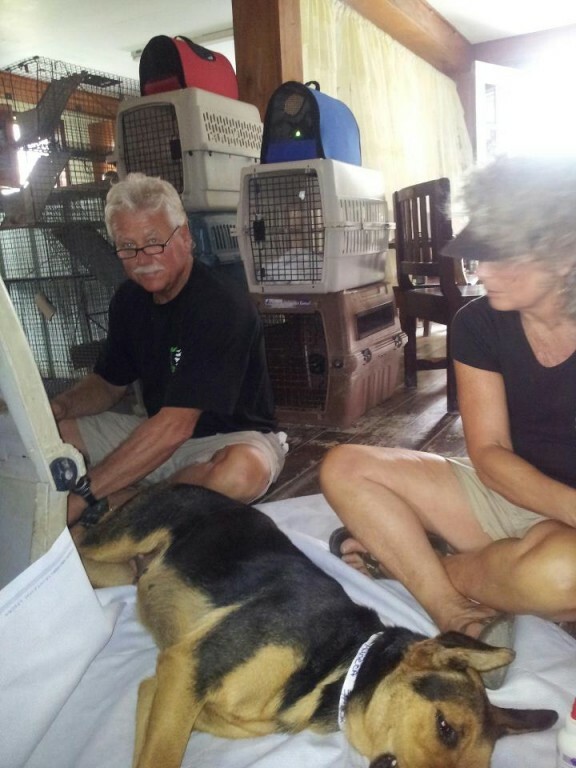 Operation SNIP is Saga HS ongoing plan to sterilize 75% of the islands’ animal population in the next 3-5 years. This was a great partnership between local businesses and visiting animal welfare professionals from the USA. Dr. Don Tummons of Duck Hollow Animal Hospital in Uniontown, PA, Mary Maykuth, Heather Beck of K9 Lifeline in Draper, UT are superstars for coming to assist Saga HS with this event! Thanks also Ken and Joanne Hibbard of Durango, CO for visiting local schools to talk about the importance of being a responsible pet owner and helping with our new education program for kids and to Matt Beatty for the donation of Hip to Snip stickers and Saga banners. 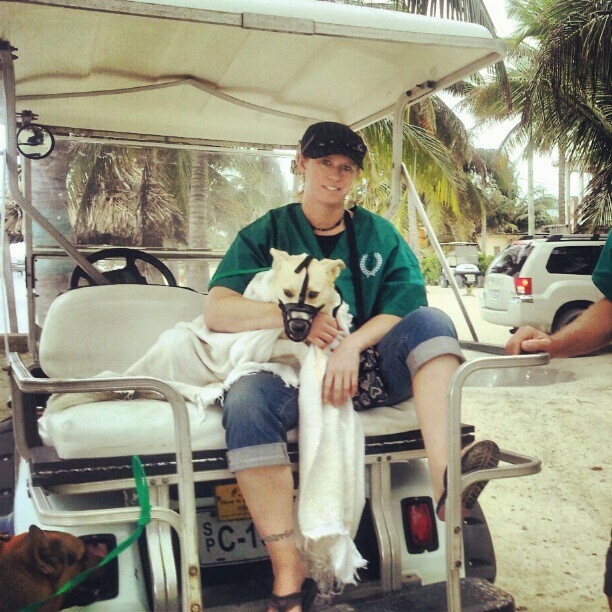 Our deepest thanks to these dedicated professionals for using their knowledge, money, vacation time and skill to help the animals and their owners on Ambergris Caye. Local business owners also see the importance of reducing the population of homeless animals. 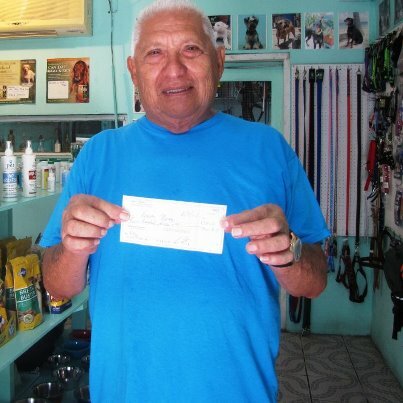 Prior to World Spay Day, Ramon Nuñez of Ramon’s Village, through donations was able to raise $1400BZ and start the event’s fund raising efforts. Thank you for your continued support. The entire month of February Heather and Kevin Smith from Feliz Bar & Grill held a weekly BINGO game to benefit Operation SNIP. Through their efforts $1224BZ was raised. 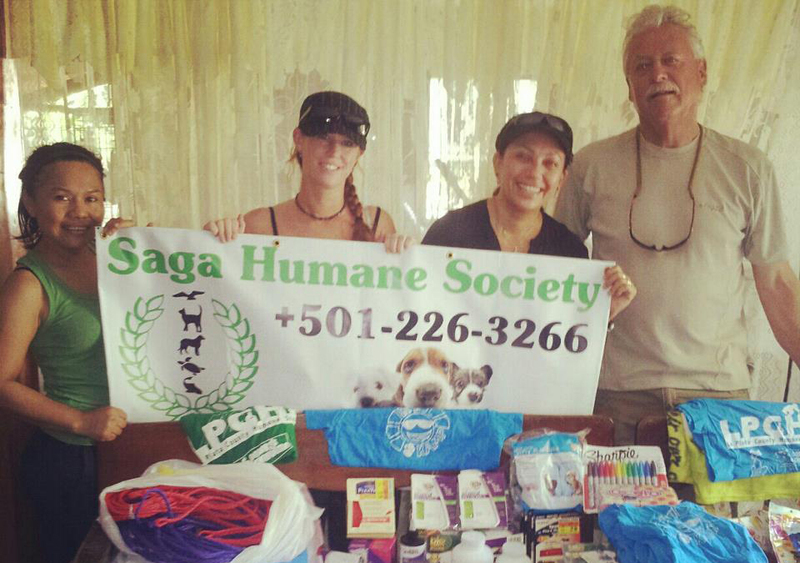 Thank you for your and other’s hard work, Saga HS was able to cover the costs of 60 spay/neuters for World Spay Day. Thanks also to the folks at Bella Vista Susan, Victoria, Hugo, Manner, Yami, Matt and Suki the cat who helped make Dr. Don and Mary’s stay at Bella Vista memorable and also for their generous discount for the accommodations for these visiting Saga supporters. 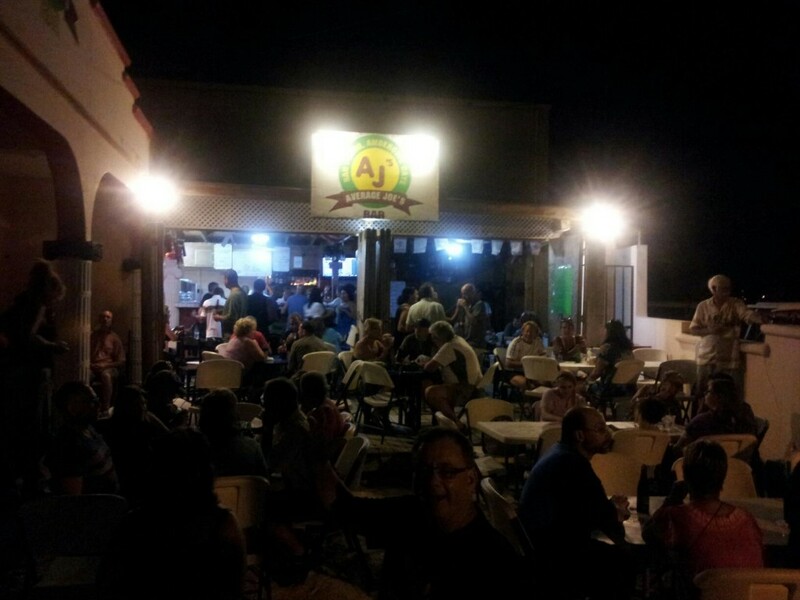 Wednesday February 27 was Cook Off- Desserts at Average Joe’s Belize. It was a great turnout of residents and visitors alike. 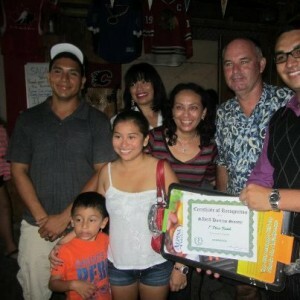 There were 14 entries in all from some of the islands best restaurants and home chefs. Casa Pan Dulce won with their outstanding Apple Pie with Ice Cream. 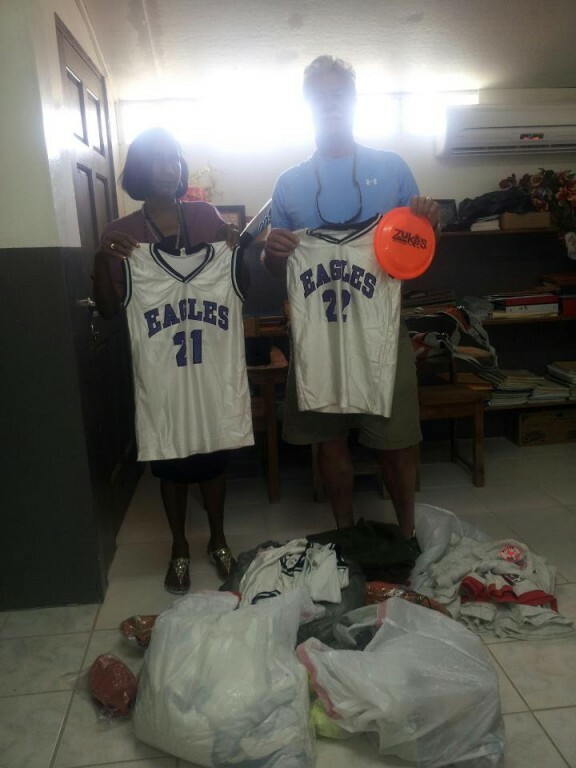 Saga HS was able to raise $1993BZ from ticket sales, raffles, donations, plus another $2000BZ generous matching gift by Ms. Beck. 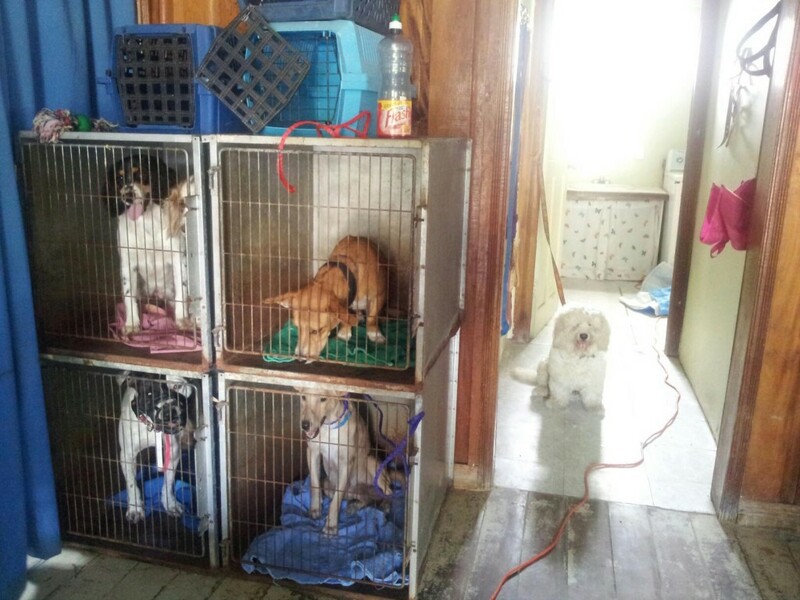 With these funds another 60 animals can be spayed/neutered in Operation SNIP. Thank you for your support by attending this event. The list of businesses, supporters and entries for the Cook Off are; Black Orchid, Lonsestar Grill & Cantina, LouAnn LeClair, Tara Traynor, Kakaw Chocolate, Carolina Gonzalez, Benjamin Vasques (Ellos), Elizabeth Burthley, AJ’s, Sand Bar, Amy Knox of Wild Mangos, Feliz Bar, Casa Pan Dulce. Thanks to Brian Cook of Fido’s for sponsoring a dish. Thanks to those who donated some pretty great prizes for our raffle. Ultimate Golf Cart Rentals, DJ’s Seaside Restaurant/Cross Fit Gym (opening end of March), Melt Café, and Black Orchid Restaurant. Thank you to everyone who donated prizes, desserts or volunteered their time to helped make this night a success. 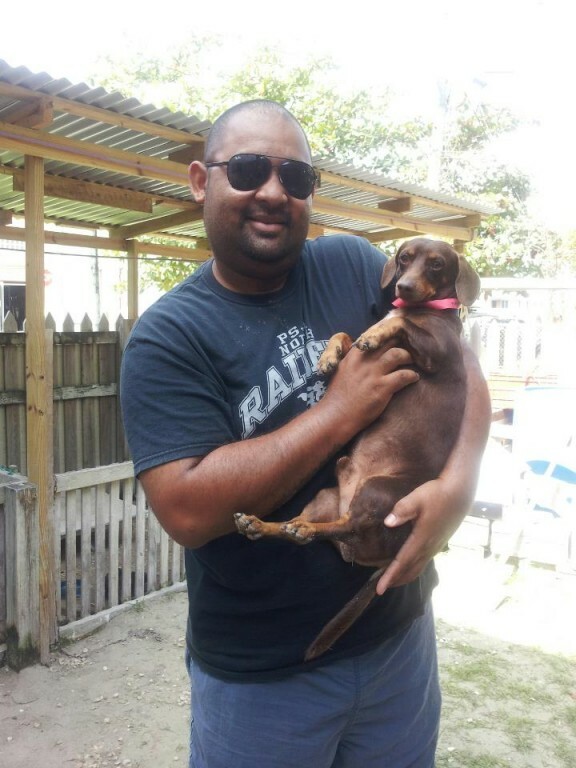 Saga HS will continue to focus on Operation SNIP through fundraising and offering free/low cost spay/neuter to the residents of Ambergris Caye. The goal is to have another Operation SNIP clinic in the month of May and two others in 2013. 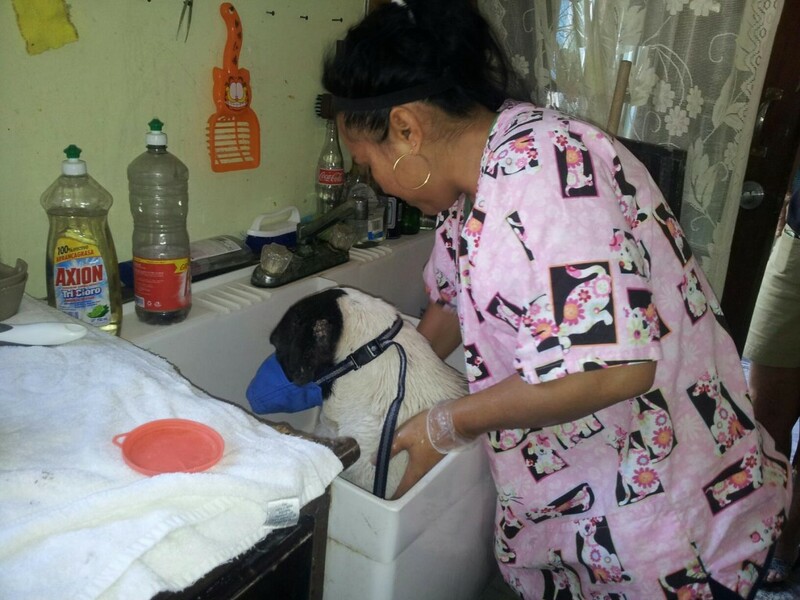 If you can help with lodgings for volunteer Veterinarian staff, meals or trips for these dedicated caring professions, please let us know how you can help with Operation SNIP.